Primal Defense is a whole food probiotic blend utilizing 14 species of hardy, non-dairy Homeostatic Soil Organisms (HSOs). and contains live enzymes, vitamins, minerals, amino acids, antioxidants and chlorophyll. We have both Primal Defense Original and Primal Defense Ultra. Select Size and Type from the box below. Primal Defense probiotic formula contains a whole food blend with Homeostatic® Soil Organisms (HSOs). The Homeostatic® Soil Organisms in Primal Defense are important probiotics you would get in abundance if your food came from soil untouched by pesticides, herbicides and other widely used chemicals. Primal Defense includes 12 species of hardy beneficial microorganisms in the form of the HSO Probiotic Blend. 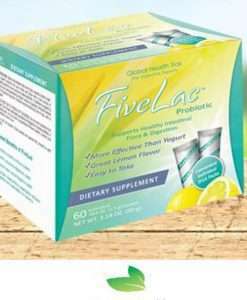 Probiotics are beneficial microflora health human intestines contain billions of both good and potentially harmful microorganisms. The good bacteria in the intestines are considered to be an integral part of normal immune system support. Probiotics are important because they synthesize certain vitamins and short-chain fatty acids to support a healthy intestinal lining and when your intestinal lining is occupied by healthy beneficial flora, it deprives unwelcome microorganisms of both space and nutrients. Is Primal Defense different to other probiotics? Some probiotic supplements have difficulty implanting in colons that are pH imbalanced or have too many harmful bacteria. Homeostatic Soil Organism blends are designed to implant in any colonic environment. 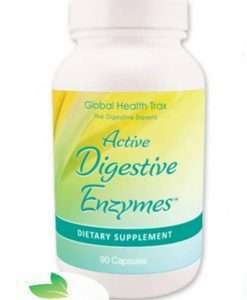 The delivery system ensures that the probiotics colonize throughout the digestive tract where they are most effective. 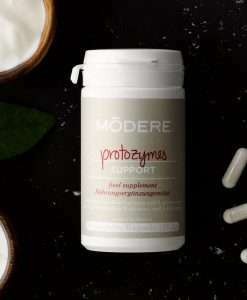 The probiotics contained in Primal Defense supplements are grown and incorporated into a living whole food substrate using the Poten-Zyme™ process, which allows them to thrive on their long journey through the GI tract. Some probiotic companies grow bacteria and then separate them from the substrate they were grown in. We at Garden of Life believe the substrate is important . 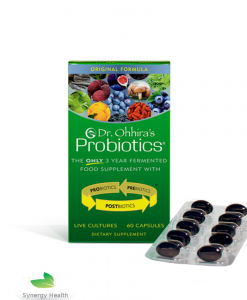 Since most probiotic supplements contain live cultures, they are temperature and age sensitive, therefore requiring refrigeration. If room temperature can begin to degrade these probiotics, imagine what the warm human body will do. Our HSOs remain dormant until activated in body fluids, and requires no refrigeration. 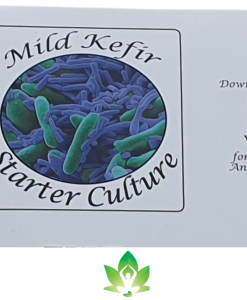 The probiotic strains in our Garden of Life Primal Defense are resistant to heat, cold, stomach acid, chlorine, fluorine. 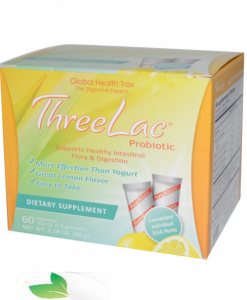 A good probiotic supplement should be able to thrive in the digestive tract, whatever the conditions. Work from inside the intestines, dislodging accumulated decay from the walls and flushing out waste. Break down hydrocarbons, which means they possess a unique ability to split food into its most basic elements, allowing almost total absorption through the digestive system. This increases overall nutrition and enhances cellular development. Aggressively consume pathological yeasts, fungi, bacteria, parasites and viruses. Work in symbiosis with somatic (tissue or organ) cells to metabolize proteins and eliminate toxic waste. Adults take 1 caplet 3 times per day with 8 ounces of water or juice. Best taken on an empty stomach. Begin with 1 caplet per day and gradually increase to suggested amount. Advanced usage take 6-12 caplets per day for 90 days, followed by a maintenance level of 3 per day for. To avoid rapid detoxification, start with one caplet per day and increase gradually to desired amount. Contains no artificial colors, preservatives, yeast, wheat, corn, soy, dairy or gluten. 100% Vegetarian. Does not require refrigeration. Due to the organic nature of the ingredients color may vary among lots..
Other Ingredients:fermented molasses, calcium carbonate, croscarmellose sodium, silica, magnesium stearate (vegetable source), vegetable coating (vegetable gum, dextrose, lecithin, citric acid), bacterial protease, probiotic cultures. USE: Adults take 1 caplet 3 times per day with 8 oz of water or juice. I cannot find this probiotic anywhere in the UK easily and so glad you stock it, please don’t change that. Really good product. 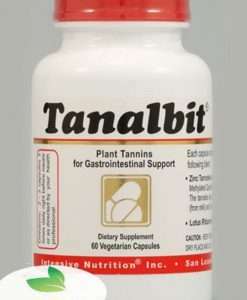 It has helped my stomach and bowel problems. A good place to buy! Primal defense is an excellent probiotic for good gut health. This company sells lots of quality products at a good price and fast delivery. Excellent product, started taking Garden Of Life in 2003 when you couldn’t buy them in the UK, one thing go easy and build up they are quite powerful. I ordered the product online and it arrived very quickly. The product itself seems to be effective though I have only been taking it for a short time. I will buy from Synergy Health again as they provided a good service.